Integral Marketing solicits business for its manufacturers in the Department of Defense, Governmental Agencies as well as the Government’s Prime , Contractors, and System Integrators, and Commercial Corporations. Our geographical territory is the Mid-Atlantic region to include Maryland, Virginia, Delaware, West Virginia, Washington D.C., North Carolina, South Carolina, Georgia, New Jersey, Pennsylvania, Long Island, and New York City. Acumentrics UPSs, Portable Power Systems, Power Conditioners, Inverters, PDUs and other trusted power solutions. Acumentrics, Inc., headquartered in Walpole, Massachusetts, has been a trusted market leader in RUPS™ (rugged AC and DC uninterruptible power sources) for harsh and combat environments as well as heavy-duty industrial applications, since 1994. RUPS™ products provide clean power conditioning and battery backup when reliability is mission-critical. Acumentrics, is a preferred supplier of US-made power electronics to many of the world’s largest prime defense contractors. Acumentrics MIL STD Certified Power Systems provide clean AC or DC power supply in harsh environments, including MIL STD 810G for dust, rain, wind, heat, cold, vibration, and shock and blowing sand along with MIL STD 461 for conducted and radiated emissions. Our full line of power systems are trusted worldwide in both military and industrial applications. 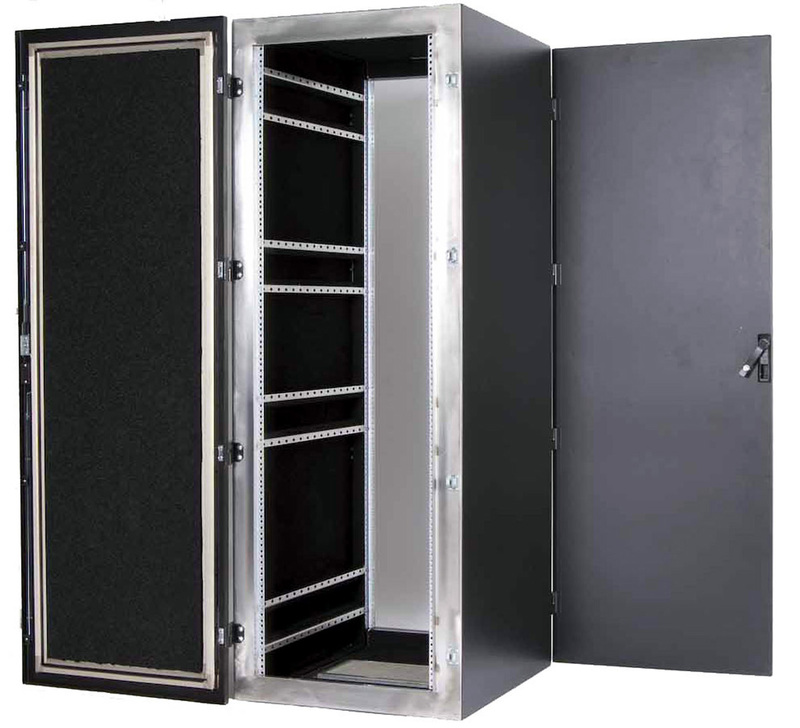 Acumentrics has an extensive portfolio of rugged power solutions (from 100W and 10 kW) including Rugged-UPS™, power conditioners, inverters, portable power systems, small form factor UPSs, PDU and other power accessories, that can be mounted in 19″ cabinets, transit cases, vehicles and FAA overhead compartment roller cases to support the various use cases. 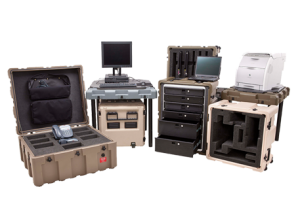 Acumentrics technology is based on over 25 years of experience in delivering trusted, reliable and rugged back up power solutions to military, industrial and medical applications. For over 40 Years the Team at Acroamatics have Supplied Commercial Off-the-Shelf (COTS) Telemetry Processing, Range Data Acquisition, and Real-Time Range Data Analysis Products to Government and Industry. Our Products and Service Support Applications which Include Range Safety, Range Flight Test, Systems Integration, Simulation, Laboratory Test and Development, Operational Test, and Launch Vehicle Command and Control. Acroamatic’s Customers Include Leading Programs, Prime Contractors, and Government Facilities – Domestic and Worldwide. Acroamatics has a Complete Portfolio of Telemetry Systems Designed Specifically for Advanced Telemetry Processing, Quick-Look Analysis, Telemetry Data Storage and Post-Test Analysis Applications. Our Systems have been Deployed Throughout the World in Both Military and Commercial Applications, Providing Outstanding Service in Defense Systems T&E, Space Launch Range Safety and Analysis, and DOD Tracking Range Data Collection and Post Mission Analysis Roles. All Acroamatic’s Products Include a Full Set of Windows Based Operational Software – Complete with Lifetime Warranty and Update Support. Acroamatic’s Software Allows You the Ability to Manipulate Tens of Thousands of Parameters in Real-Time using Ultra-Reliable Card Level Micro-Coded/ Script Driven Embedded Telemetry Processors. 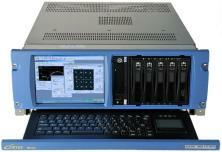 Range Mission Simulation, Remote TDP Operations, Quick-Look, Card and System Applications Software. Acroamatics is one of the bit synchronizer industry leaders. Remote Windows Control Software is Provided Free of Charge, Supporting Integrated Network Operation of Up to 64 Remote Bit Sync Channels. From Standalone Cards to Integrated Multi-Steam Systems and Card Embedded Decom Applications, Acroamatics Delivers the Best Results Time and Time Again. 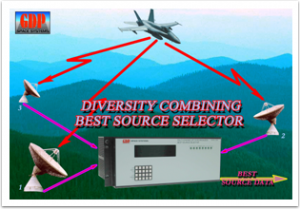 Acroamatics Offers Practical Automated Best Source Selector, Multi-Stream Mission Simulators, Tracking Site Data Verification and a Variety of Other Specialized Range and Telemetry Data Center Instruments. Acroamatics Offers a Powerful Array of the Most Effective PCI Based Telemetry Processing and Interface Module Solutions in the World. Acroamatics PCI Telemetry Modules are Each Delivered with all of the Windows Set-Up and Operating Software, I/O Cabling, and Documentation One Needs to Tackle Even the Most Challenging Telemetry Processing System Integration Tasks. 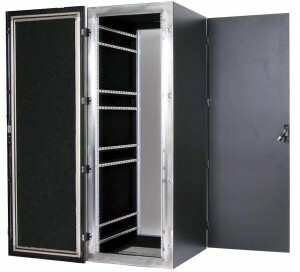 Acroamatics has been Creating Off the Shelf Solutions and Custom Designed Systems for Over 30 Years. Acroamatics has a Continuing Commitment to Support Their Full Line of Legacy VME and Special Purpose Telemetry Products in the Best Possible Fashion, with Upgrade and Replacement Products Engineered with “Drop-In” Compatibility in Mind as Powerful New Features Incorporating the Latest Signal Processing Techniques are Introduced. Custom System Design – Enclosures, Computers, LCD Displays, etc. 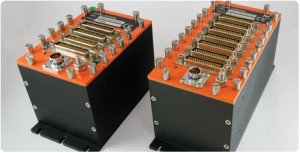 The ACRA Business Unit within Curtiss-Wright Controls Avionics and Electronics (CWC-AE) has Over Two Decades Experience in Developing Flight Test Instrumentation (FTI) Solutions Including Data Acquisition, Ethernet, Recording and Real-Time Ground Stations. ACRA’S Customers Include All of the Major Aerospace Prime Contractors and Test Agencies with Products Supplied to Over 300 Platforms in 40 Countries Worldwide. 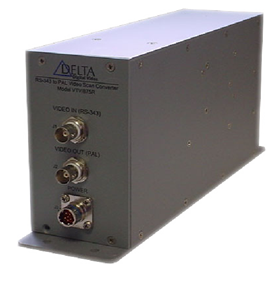 The ACRA KAM-500 Data Acquisition Unit (DAU) is an Airborne Acquisition and Transmission System That Consists of a Chassis, a Back-Plane Controller and User Selected Modules. This Highly Configurable System Enables Fully Customized Systems to be Built Using Commercial Off-the-Shelf (COTS) Products. The ACRA KAM-500 DAU Achieves High Performance by Utilizing a 100% Digital Architecture to Support a Throughput of up to 64MBPS Per Unit, Aggregating up to a Gigabit Per Second Throughput for a Network Distributed System. A Key Concept Behind the ACRA KMA-500 is “Any Module, Any Chassis, in Any Combination”. Modules or Chassis Can be Added to the Systems or Individually Replaced. There are Over a Hundred Modules and Variants Available and Chassis Can be Built with Any Mixture Of Modules to Meet the Specific Needs of a Program. CWC-AE Develops Reliable High Performance Ethernet Interface Modules That Build Real Packets Instead of Simply Wrapping PCM Into a Packet Structure. In Such a Network, Setup, Data Acquisition and Synchronization Occur Over a Single Ethernet Connection, Leading to Significant Saving in Wiring Complexity and Weight. Ethernet Data from ACRA KAM-500 is Optimally Packetized for Ethernet Transmission and Recording but Can Also be Converted to Many Other Industry Standard Protocols. CWC-AE Embraces Open Standards and Protocols for File Storage and for System Synchronization, Management and Configuration. The Use of SATA, CF and PCAP, IRIG 106 Ch 4/10, Ensures Immediate Open Access to Data with a Huge User-Base for Support and Services. CWC-AE Also Uses Standard Networking Protocols Such as the Simple Network Management Protocol (UDP) and the Trivial File Transfer Protocol (TFTP). XidML, and Open XML Metadata Standard for the Aerospace Community, Provides a Vendor-Neutral Hardware Configuration Platform That Describes How Data is Acquired, Processed and Packaged for Transmission, Storage or Reproduction. ACRA Control has Proven Reliability and Performance on Launch Vehicle Application Such as United Launch Alliance’s Delta II and SpaceX’s Falcon 9. Transmission Black-Out Resend are Handled by Black-Out Buffers to Ensure No Data is Lost on Launch or Re-Entry. ACRA Control’s Technology is being Leveraged to Provide Compact, Radiation-Tolerant Remote Terminal Units (RTUs) for Distributed Installations on Satellites, Replacing the Concept of Centralized Data Acquisition Directly to the Main Computer. Airborne Video Encoders are MISB and MIL-STD-810/DO-160 Complaint and Have Been JITC Certified. High Definition and Standard Definition Video Formats. The Encoders Support Synchronous or Asynchronous KLV Metadata and Can Be Configured to Convert Sensor Telemetry Into KLV Encoded Metadata. Commercial/Industrial Encoders for Ground Environments. 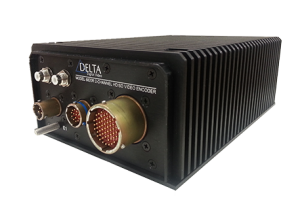 These Products Compress Video and Audio Signals and Multiplex Them with Metadata and Other Systems Information for Real Time Transmission and Ground Distribution Over Serial or Ethernet Networks. They Can be Configured for MPEG-2 or H.264 Compression. 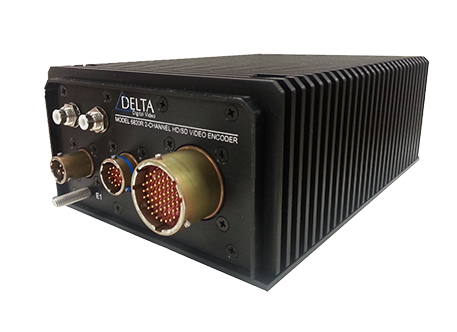 Video Decoders Offered are Companion Devices to Delta’s Encoders and are Designed for Low Latency Applications. They are Compatible with the MPEG-2 and H.264 Video Compression Algorithms. Video Codecs Provide Cost Effective Video-Over-IP Solutions. They Can Be Configured to Encode or Decode. These Products Provide Flexibility in Streaming and Distribution of HD/SD Video Using the MPEG-2, MPEG-4 or H.264 Video Compression Algorithms. Video-to-Video Scan Converters Provide the Capacity to Convert Between Video Signal Formats in Order to Facilitate Display or Recording. These Products Provide High Quality Conversion to/from RS-343, RS-170, PAL, HD, SD and XVGA Video Formats. 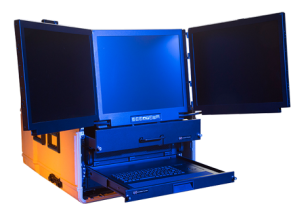 Stroke-to-Raster Scan Converters Provide for Display, Recording and Transmission of Stroke Video on Standard COTS Equipment. All-in-One Instrument with Computer, Display, Data Storage and 4-13 Slots for TRION Modules. TRION Modules are the Backbone of Every DEWE2 System and Every TrendCorder System. They Provide the High Resolution Analog Inputs, Outputs and Data Bus Interfaces That Your System Uses to Perform it’s Primary Function: Recording Data. 4-18 Slots for TRION modules, So That You Can Expand Your DEWE2- A and -M Chassis or for Use with Any Computer. The TrendCorder from Dewetron was Designed from the Ground Up to Replace Old Chart Recorders and Simpler Data Acquisition Systems. The Application is Normally LONG TERM Recording, During Factory Burn-In Testing or Product Qualification. Easy Operation is a Hallmark of the TrendCorder. The DejaVIEW Software Allows You to be Recording at Full Speed for Hours or Even Days and Yet You Can Instantly and Easily Examine Any Part of the File with All of the Resolution. Convertible Between a Benchtop and Rack-Mounting Instrument the D510 Can Be Configured with 16 to 100 Channels. Model 2265: Single/Dual/ Quad-Channel PCM Bit Sync. Up to 40 MBPS Operation. Maintains Sync Down to -3dB Eb/No, 100 mVpp. Embedded Processor Control. Model 2365: 4 or 8 Channel PCM Bit Sync. Up to 40 MBPS Operation. Touch Screen Display. Maintains Sync Down to -3dB Eb/No, 100 mVpp. PC-Based Unit. Model BSM001: Single Channel Bit Sync. VME Module. Up to 20 MBPS Operation. Model BSM202: Dual Channel Bit Sync. PCI module. Up to 40 MBPS Operation. Model BSM003: Single/Dual Channel Bit Sync. Up to 40 MBPS Operation. Model 225E: PCM Format Synchronizer/Data Quality Monitor. Minor Frame and Sub-Frame Synchronization. Up to 25 MBPS Operation. Model 2350: TM Over IP w/FS. PCM Frame Synchronization and Packet Alignment Transports Aligned Data Over IP for Software Decom. Up to 35 MBPS Operation. Model 2300: Telemetry Display/Processing Software. 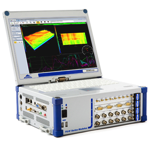 Receives Frame-Synchronized Telemetry Data via Ethernet for Processing, Recording and Display. Chapter 10 Compliant. Model 2266B: Diversity Combining Best Source Selector. 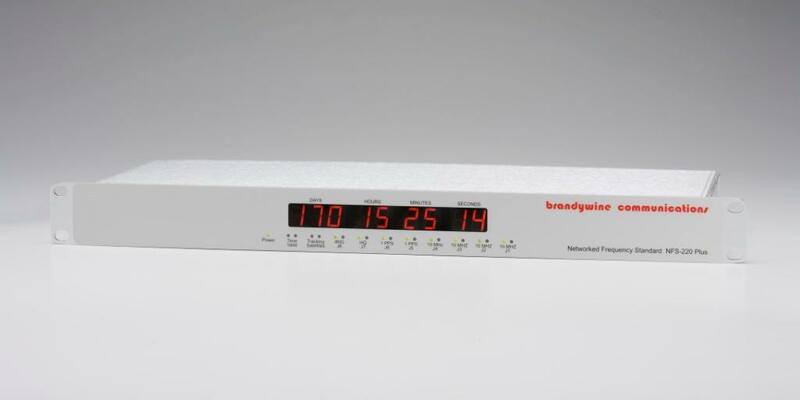 Up to 8 Channels of Encrypted or Decrypted Analog PCM Data. Aligns All Streams in Time and Determines the Best Source Signal Based on Quality Data from Internal Bit Synchronizers. Model 2267B: Diversity Combining Best Source Selector. 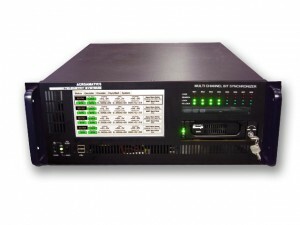 Up to 16 channels of Encrypted or Decrypted Digital PCM Data. Time-Aligns all Streams for Seamless Switching. Model 2265EC: Multi-Channel Bit Sync/Encapsulator. Encapsulates Analog Eb/No Quality Info for Digital Transport for Best Source Selectors from remote sites. Model 650: Data Transmission Test Set (BERT). Up to 50 MBPS operation. Delay Measurement. Optional Internal Noise Source. Plots Eb/No and Jitter Graphs. 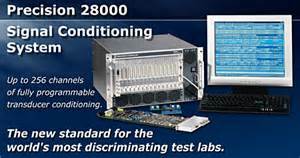 Model 652: Dual-Channel Data Transmission Test Set: Up to 52 MBPS Operation. HSSI, ECL, TTL, RS-449, RS-530 Interfaces. Model 236: PCM/PAM Simulator. Up to 40 MBPS Operation. Fully Programmable Simulator. TTL, RS-422, RS-232. All IRIG codes and RNRZ-L.
Model 630: SGLS Test Set. SGLS Ternary BERT. Serial Data BERT. SGLS Command Processor. Optional AM/FSK Modulator/Demodulator. 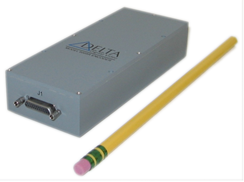 Model 9200: Data Conversion and Distribution System. 2U Rackmountable Chassis. Redundant Power Supplies. Up to 16 Module Slots. Modules are Hot-Swappable. Converts and/or Distributes Various Signal Types: TTL, RS-422, RS-232, ECL, RS-530, Fiber, Analog, IRIG Time Code, etc. Model 2350: Telelmetry over IP. UDP/IP, TCP/IP. Frame Sync Option. Up to 35 MBPS per Channel. Up to 4 channels per 1U Rackmount Chassis. IRIG 218-07 TMoIP Compatible. Model 2352: Ethernet over PCM (Network Bridge). Bridge Ethernet Networks Across a Synchronous PCM Data Link. User-Programmable Operation to 30 MBPS. Model 2360: Open uTCA Standard Communications Multiplexer. Low Latency. High Bandwidth, availability, and Reliability. Multiple Channel Types over a Variety of Links: PCM, T1, Ethernet,Video, Async, Time, Analog, etc. Over DS3, OC-3, OC-12, ATM, Ethernet, PCM, etc. Pickering Interfaces designs and manufactures modular signal switching and simulation systems for use in test and verification. Pickering offers the largest range of products supporting PXI, PCI and LXI platforms. 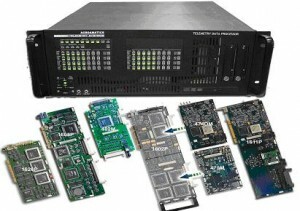 RT Logic Modem and Receiver Products Support Standard and Custom Waveforms, as well as Extensive USB, SGLS, TDRS and TT&C Ranging Capabilities. 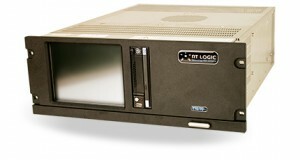 RT Logic High Rate Data Processing Systems Solutions Process Standard CCSDS and Custom Streams, Archive, Replay and Distribute Real-Time Mission Data from Low Rate to Very High (Multi-GPS) Rates. RT Logic Recording Systems Record and Replay the Most Critical Signals and Data Streams with Precise Timing and Channel-to-Channel Time Synchronization: Analog Baseband, IF, Digital Serial, IP Packets, and Timing Signals-from DC to Multi-GPS. 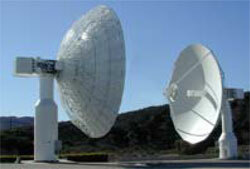 RT Logic Cyber C4 Represents the First Family of Cyber Protection Products Designed for Satellite Ground Networks. Supporting Current and Legacy (Serial-Based) and Next Generation (All-IP-Based) Control Center Architectures, RT Offers both Hardware-Based and Software-Only Solutions. RT Logic RF Monitoring Systems and Protection Capabilities Mitigate the Threats RF Links Can Suffer from Accidental Interference and Intentional Jamming. 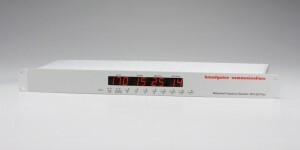 The RT Logic Channel Simulator is a Powerful Real Time Hardware-in-the-Loop or IF Communications Link Simulator Creating Physics-Accurate Signals with Characteristics such as Doppler Shift, Dynamic Time Delay, Multi-Path and Phase Offset. RT Logic’s Satellite and Missile Test Systems Fully Support RF, IF and Digital Baseband Testing of the Communications Subsystems of a Satellite or Missile. Deployable SATCOM Data Transport Advanced High Volume/High Data Rate (HV/HDR) Solutions Support the Rapid Assured One-Way Transfer of very Large Amounts of Data via Satellite for Mission Critical Applications. 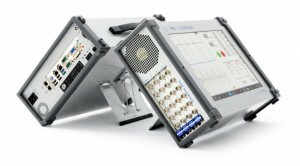 SEMCO’s Family of Telemetry Products Includes Rack Mount and Portable PC-based Telemetry Receiver Combiner Systems, Single/Multi-Channel Receivers, Receiver Modules, PCI Card Sets, Telemetry Signal Simulators, 70Mhz Multi-Mode Demodulators and Transmitters Spanning RF Frequencies from 70MHZ to 5250MHZ. These Products Support Legacy and Current Telemetry Requirements as well as Emerging Technologies and Requirements Embracing New RF Frequency Bands, Spectrum-Efficient Modulation Formats, Local and Network Control and Telemetry Data Processing. SEMCO’s PC-Based Telemetry Receivers Include Rack-Mount 6U, 4U, 2U and 1U Dual and Quad Channel Receiver Combiner Systems, as well as Single and Multi-Channel Receiver Configurations. PC-Based Portable Systems and Telemetry Card Sets for Installation in a Customer’s PC Chassis are also Available. Frequency Coverage from 70 MHz to 5250 MHz, the Latest Demodulator Formats, Unprecedented Data Rate Capabilities in Applicable Formats from as low as 1 kBPS to 40MBPS, Proven Reliability, Maintainability and Ease-of-Use, Remote (Network) and Local Controls and Advanced Features Embracing Advanced Technologies Such as Adaptive Equalization and Data Quality Encapsulation. 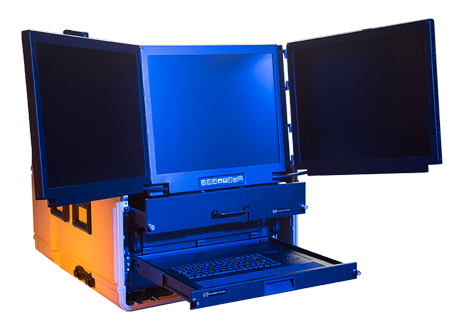 SEMCO’s Telemetry Signal Simulators are Provided in Both 2U Rack-Mount and Portable, Ruggedized Battery Powered Configurations. These Simulators are Designed for Pre-Mission Checkout of a Telemetry Ground Station, as well as for Telemetry Receiver Calibration and Maintenance Testing. The Simulator Provides an Internally Generated Pseudo-Random PCM Code Generator, User-Selectable Multi-Mode Modulator, Calibrated Single and Dual RF Outputs, Embedded Bit Synchronizer and Bit Error Rate Tester (BERT). The RF Output Frequency Range Includes Frequency Bands from 200 MHz to 5250 MHz. Modulation Formats Include PCM/FM, NTSC Composite Video, PM, BPSK, QPSK, Tier I SOQPSK-TG and Tier II Multi-h CPM. The External Modulation Feature Allows for Use-Provided Signal and Test Patterns as well as Binary File Playback Capability Using Pre-Recorded Mission Data. Dynamic Combiner Performance Testing Capability Provides for User-Selectable Phase Shifts and CH1/CH2 Signal Level Shifting (Fade) at User-Selectable Fade Rates. 70 MHz Multi-Mode Demodulators. SEMCO’s DM200 Series Products are Multi-Mode Demodulators in a Rack-Mount 2U System Configuration. The DM200 Accepts a Modulated 70 MHz Input and Provides the Latest Demodulator Formats and Unprecedented Data Rate Capabilities in Applicable Formats from as low as 1 kBPS and up to 40 MBPS. The DM200 Series Demodulator has Proven Reliability and Maintainability Track Record and is Known for its Ease-of-Use in Both Remote (Network) and Local Control. Advanced Features Include Leading Edge Technologies Such as Adaptive Equalization and Data Quality Encapsulation. The DM200 is an Excellent Way to Support all of the Latest Demodulator Formats Using the 70 MHz IF Outputs of Legacy Telemetry Receivers. Front Panel Touch Screen Controls, Eye Pattern, Constellation and Spectral Sweep Displays, as well as Local and Remote (Network) PC Control are Standard. Both Dual and Quad Channel Configurations are Available. Telemetry Repeater. SEMCO’s TRT400 Telemetry Repeater is a Custom Product Developed and Produced for Specific Applications Requiring the Reception and Re-Transmission of Telemetry Data That Emanates from a Test Vehicle That is Either out of Range of the Target Receiving Station, or Physically Blocked from the Ability to Transmit and Receive the Data. Typical Applications Include Overcoming Physical RF Blocks Such as High Rise Buildings or Mountainous Terrain. SEMCO’s Telemetry Repeater Consist of one of the Company’s 1U, 2U or 4U receivers, a 5, 10 or 20 watt Telemetry Transmitter and an Antenna Configuration That is Determined by Link Margin Analysis and the Repeater Plan for Use. 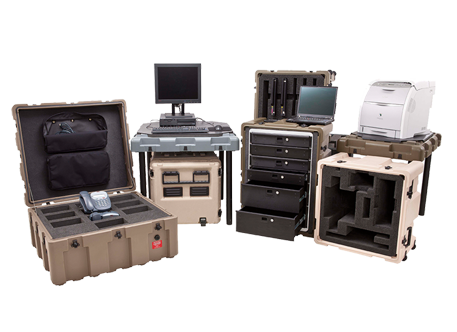 All components are Packaged in a Ruggedized, Portable Enclosure. SEMCO Provides for Local Control of Multiple Receivers with a Folding 1U KVM, Display, Keyboard and Touch-Pad Controls. This Device Controls and Switches up to 8 PC-Based Receiving Systems, with Independent Slide-Out Keyboard and Display for Both Fixed and Portable Telemetry Receiver Installations/ It’s TFT LCD Provides High Resolution Display of Each Selected Receiver GUI. An Optional USB I/O Cable Set is Also Available. Automated Telemetry Test Systems. SEMCO Provides a Fully-Configured Automated Telemetry Test System That Complies Completely with IRIG 118 Standards for Telemetry Receiver Testing. The System is a Fully Automated Tester for Both Dual Channel and Quad Channel Receiver Combiner Systems. Controlled by a LabView Software Program, the System Takes Advantage of the Serial COM Port Communications Interface in all of SEMCO”S Receiver Products to be able to Automatically Control and Set Up the Receiver Parameters Required for Each Test. A Full Test Data Record (TDR) is Printed Out at the End of the Test, Providing the Test Operator with a Review of the Actual Measurements Taken in Each Test and the PASS-FAIL Status of Those Tests. Zodiac Data Systems Designs and Manufacturers From Stand Alone Products to Complete Turnkey Solutions for Critical Space Applications Such as Earth Observation Missions, Science Payload Reception from Deep Space Probes or Low Earth Orbit (LEO) Satellites or In-Orbit Control During Launch and Early Orbit Phase (LEOP) and Housekeeping Operations For All Satellites (LEO, MEO, GEO, etc. ).